Speedwagon Classic - Seeley, Tack and Pipo made up the lead group. Pipo flatted, leaving Tack and Seeley to battle it out. Seeley dropped Tack on the last climb and won. Polson Mike rode strong in third and AG was 4th, the Dave Hartman special tubulars took me to 5th. 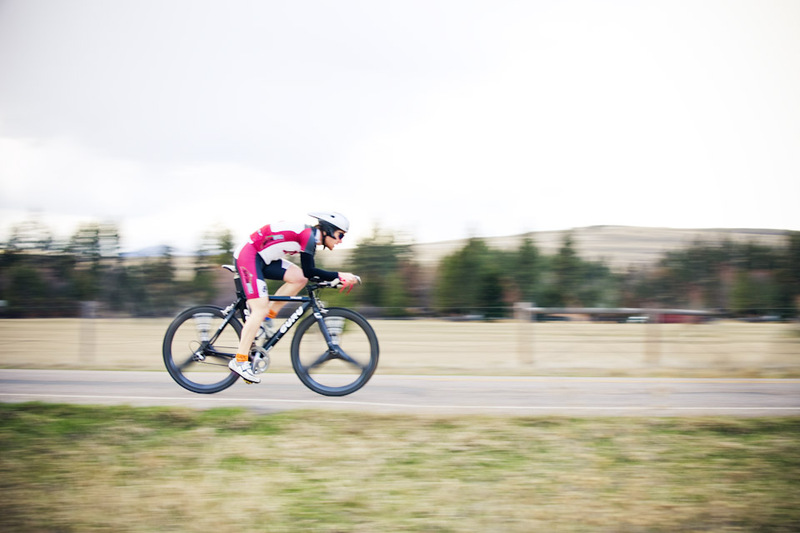 Lewistown Duathlon - "John Fitz took first with a time of 52:48, which was 12 seconds slower than Ben Hoffmans course record of 52:36. He was well ahead going into the second run and 2nd place came in just under 3 minutes behind him. He made sure to thank God and the TTTT for his victory. 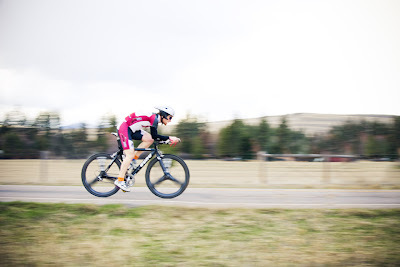 Josh Goldberg came in 3rd overall, and Lacey and Katherine took 2nd and 3rd overall for the woman. Ed Hirsh and Ben Williams also raced and did really well. As for myself I wasn't planning on racing until 15 minutes before and due to some serious dehydration I had a leg cramp up with 4 miles left in the bike, spinning the rest of the way with one leg and hobbling through the second run" - Mike H.
California 70.3 - Matty Ice 29th, Halpin 22nd, Jensen 16th, Hoffman 7th. Jen???? Good swim I heard. Interesting Fun Fact from Frank about the Training Race. "I felt like I was in a pro tour breakaway. In case anybody is interested...John Curry's normalized power output for 1 hour 38 minutes was... 321 WATTS!!!! Just shy of one of the breakaway power files (Garmin guy I think Frischkorn) from last years Tour of Flanders. Brians had to be very similar if not a bit higher. We were rolling like the big boys." The TTTT pre-hype reached new levels yesterday. Before the start we had an anonymous donor give $50 to anyone who broke a course record. The guys field had several candidates. Brian had un-officially broken the record last week (wrong turn), our series leader Johnny MT has dipped below 12, and Mr. Tack and Zellmer were in attendance. On the ladies side there were three top riders who had a shot. Lindsy was close to the record last year and is very much capable, series leader Kellie had put up 13:43 last week, and Tam made an appearance. All Results are updated on the side panel underneath TTTT. Johnny MT and Kellie continue to lead our overall standings. Brian moved to 2nd as did Kara. Cycling had a big day yesterday and moved back into contention. 13 - 10 Triathlon still leads. Results are in the previous post. The start of the Montana road season has come and gone. 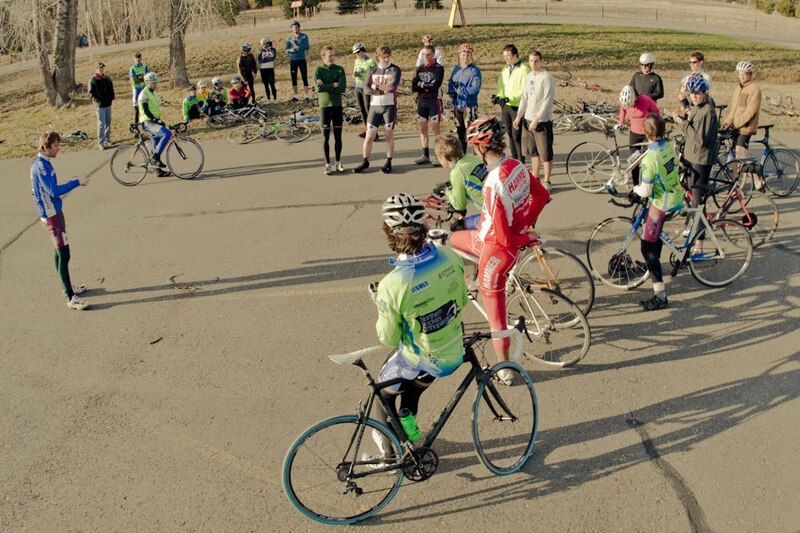 There are only a few chances to test your form before the Roubaix. Saturday's training race was one of them. The winning break in the A group contained Montana All Stars John Curry, Frank Gonzalez, and Brian Williams. After long cx seasons Frank and John showed why their two of the best. Brian had shown his form in the TTTT early in the week. Getting dangerously close to a course record. The break worked well and the Montana strong men held their advantage to the line. The B group stayed together for most of the course. Cameron Johnson and GAS riders Armstrong, Vernon, and Curry were the most active. Johnson attacked hard mid race but the head wind and lack of cooperation foiled his chances. In the end a bunch finish was meant to be. Proving his sprinting potential Joshua Phillips took the gallop to the line. Shout out to Corbin, Zickovich, Dingman, Curry, and Halvorson for hanging tough in the B's. I love Montana strong-women! The C group was won by Ed Hirsch. 2nd was newcomer Jason Hardling. The group broke up and Ed made the right moves. Thanks to our chaperons John Wehyrich and Joey Lenaburg.